I've been tying a lot of Catskill dries lately, and I thought I would share what I think is the key to getting a nice even body on a quill bodied fly. It's kind of like building a house; you have to start with a solid, level foundation so that the framing can be laid evenly on it. 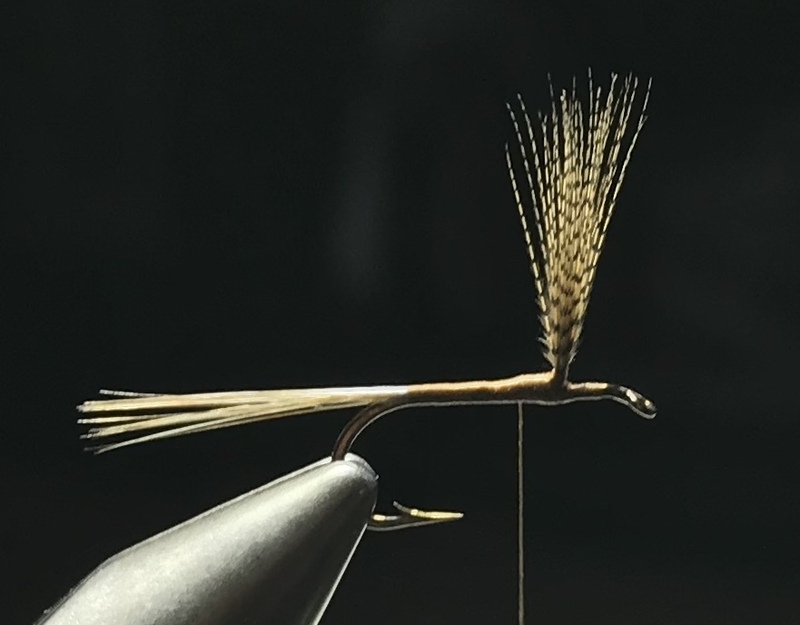 In fly tying, that means making uniform, purposeful wraps of thread as you tie in the butts of the wing and the tail of the fly. Simply put, every wrap of thread should have a purpose. Here's a Red Quill showing the before and after of the quill being wrapped. I've coated the quill after wrapping it with head cement, which draws out the rich, red color of the natural red hackle stem. I don't care for dyed quill quill bodies as they are too uniform in color. 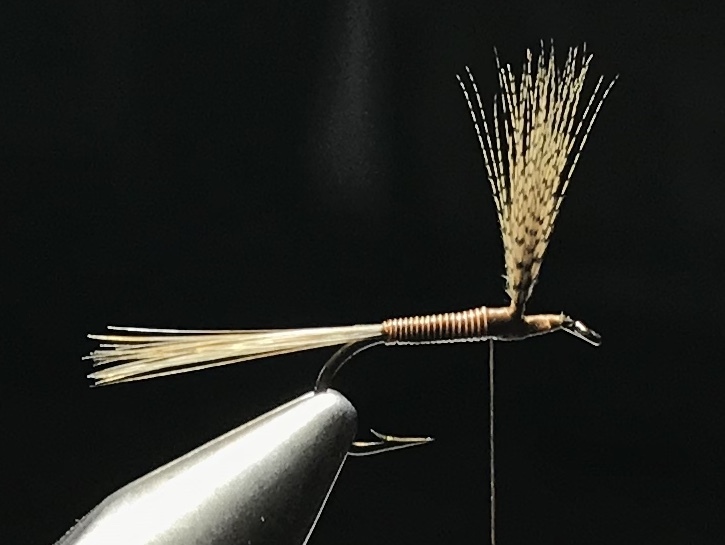 Stripping a natural red/brown saddle hackle of the hackles, wrapping it, and then coating it after wrapping it brings out what is to me the perfect male hendrickson body imitation.